Congratulations to our 2016 Okrapalooza winner – Chef Peter Barlow of Stephan Pyles Flora Street Cafe! 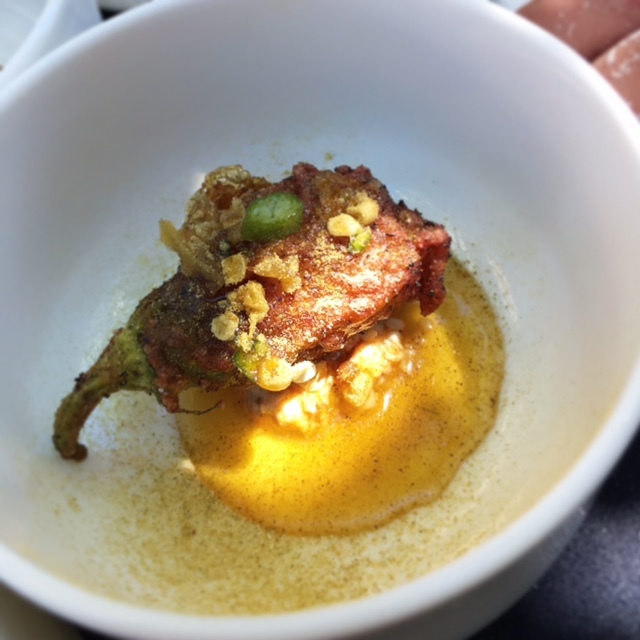 Texas blue-cornmeal tempura fried okra blossom filled with smoked brisket, and pachi pachi goat cheese. Pickled okra seeds with Texas honey and pickled okra powder dusted on top.